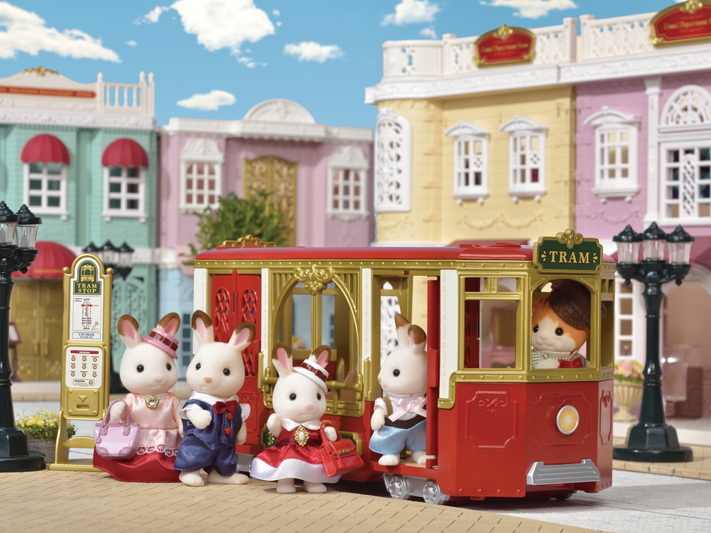 The Ride Along Tram takes everyone to nice places around town. 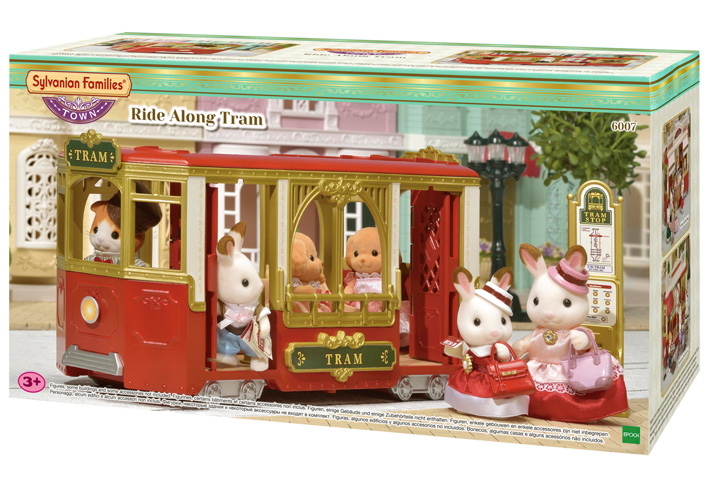 This elegant tram is red and gold with beautiful engravings. The wheels and the doors really work. 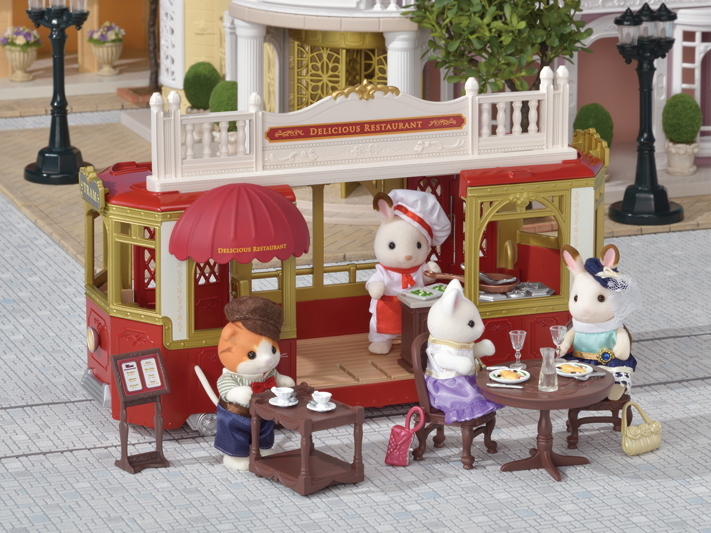 The seats are detachable, so you can enjoy various seat arrangements. 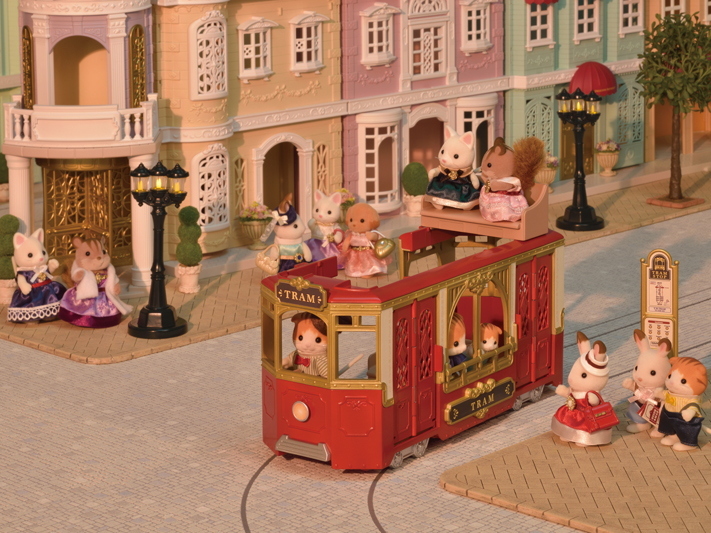 The cab and the ticket machine can be set on either side of the tram. Flip over the cab to use it as a ticket counter. 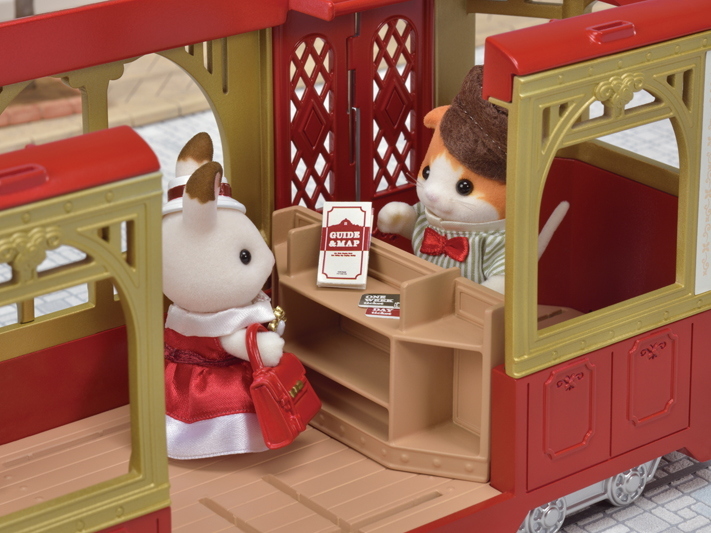 A tram stop and driver's hat are also included. The Maple Cat father is the driver (sold separately). 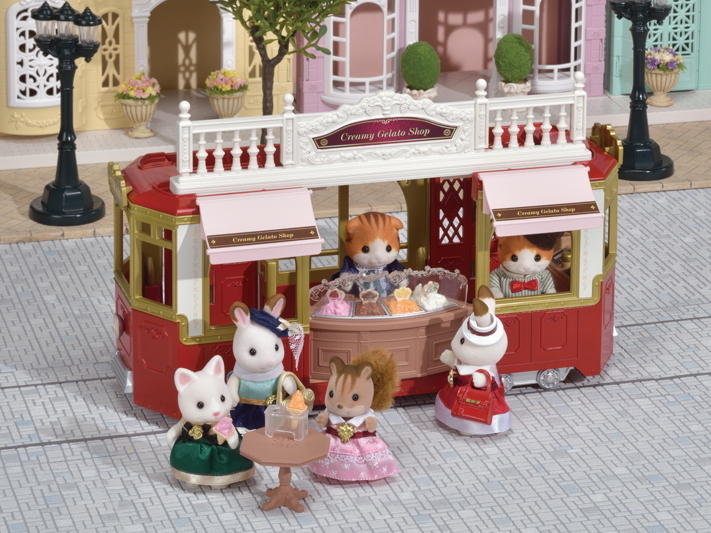 Put the awnings and fence of the Creamy Gelato Shop on the tram to turn it into a gelato shop. 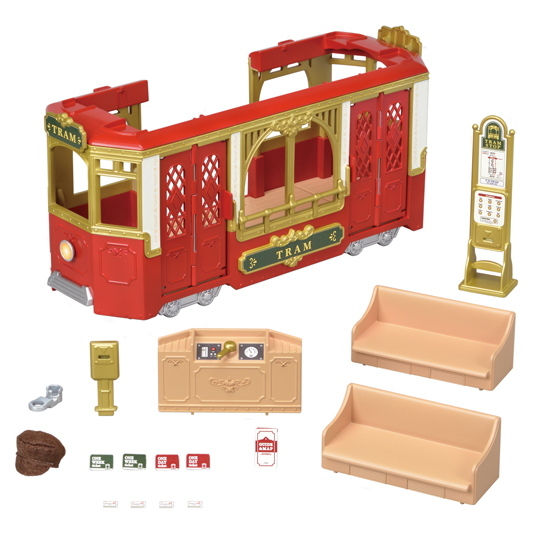 The fence of the Grand Department Store can also be attached (all sold separately).